The Friends group recently planted a new tree at the south end of the Park between the bridge and the end of Fly walk. This replaces a Sweet Chestnut which died last year probably due to the wet conditions in this area. The new tree is a Caucasian Wingnut (Pterocarya fraxinifolia) which is a spreading tree with a short trunk. It has catkin-like flowers that go on to form tassels of small winged nuts in the autumn. The tree was chosen as it is hardy and likes moist conditions, so should be at home in this damp, windy section of the Park. Thanks to all those who helped take out the old tree and plant the new one. 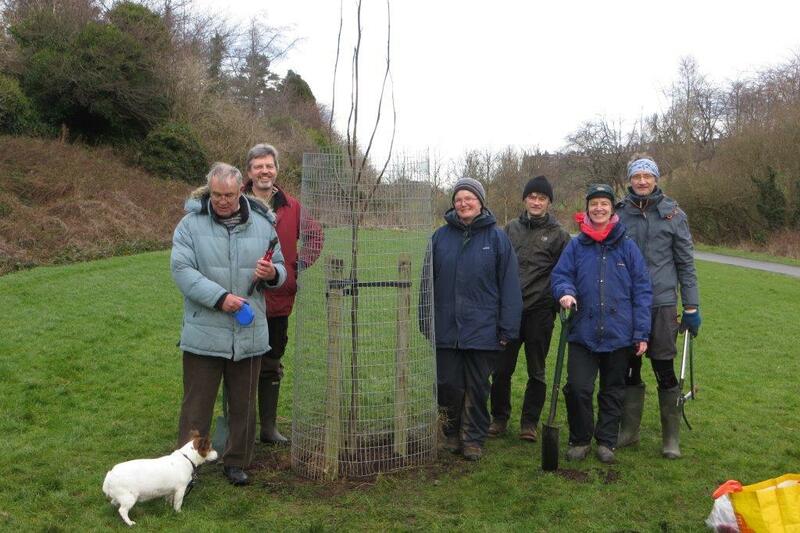 Many hands made light work to plant this large tree complete with stakes and protective cage.